Swedish telecoms giant Ericsson is 140 years old, and guess what? They’re struggling to stay cool and attractive to millennial tech talent – you may have heard of this challenge before. Have a listen to this interview Lisa Smith-Strother to learn how they work to overcome it. And be sure to subscribe to the Employer Branding Podcast. I’m the senior director and global head of employer branding and diversity branding at Ericsson. 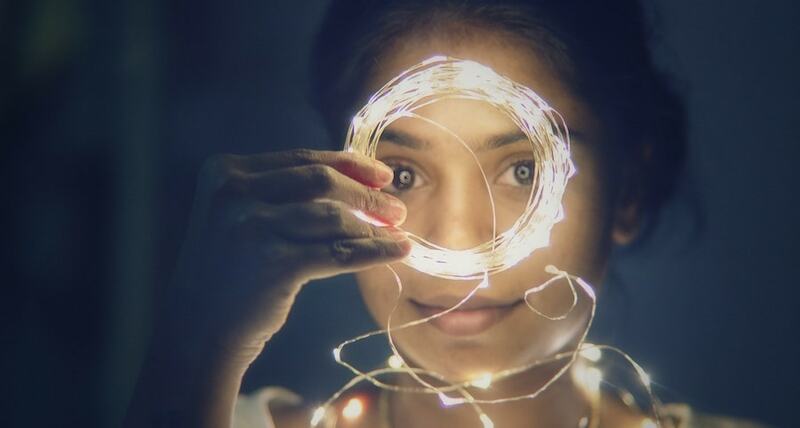 I have the pleasure of setting Ericsson’s global employer brand and recruitment marketing strategy, and driving Ericsson’s strategy across their numerous social and digital careers channels, leading a team that is passionate about marketing, diversity and employer brand. How would you describe the corporate culture of Ericsson? Our culture is highly collaborative, innovative, and creative. We are also global because it gives you the opportunity to work with colleagues across the globe. It also has great depth and impact because of our nature that supports an entrepreneurial spirit. We value diversity, and have made a commitment that by 2020, 30% of our employees will be women. Diversity is truly ingrained in our messaging and our commitment as well as our culture. There’s a great effort in ensuring that people feel welcomed, engaged, and empowered, and frankly that is a part of our messaging. It’s part of our core competencies and our ethics. What might your talent challenges be? As a global ICT company, we’re seeking software engineers, integration engineers, software developers, and solution architects. Ericsson is over 140 years old and often it’s hard to overcome that, I’ll refer to it as stigma, as being a bit old and stodgy and not that flexible and adaptable. It makes it quite difficult at times to attract and recruit millennials and fresh grads. So it’s about how you can adapt your message, how you can continue to position yourself as a company that is incredibly adaptive and innovative and creative so that millennials are really excited to join us. Because we are a cool company, it’s just a matter of trying to convey that when you have a lot of newer companies around, whether they’re big companies or startups that have a certain persona. What sort of initiatives and projects are you running to address these challenges? We segment our employer brand messages by talent target, our way of working, the vast projects that we’re working on, as well as the cultural messages, all that would appeal to a vast array of individuals. In addition to that, we make sure that our employees serve as our brand voice. It’s really important to us to showcase our employees, particularly those employees that are in those roles that are key to our strategic direction, but also so that prospective employees or candidates can get that view behind the curtain to reflect what it is like to work at Ericsson or what I often refer to as the softer side. Our brand promise is that you’ll have the opportunity to quickly contribute to the depth and breadth of our impact, being a global company, but also to be able to work in a very collaborative environment. We try to showcase projects, our culture to the various segments, and adjust our message accordingly based on that audience. Do you have certain messages around diversity talent? We have various focus groups to get a much deeper understanding of what attracted them to Ericsson, and what messages appealed to them. Certainly it’s the flexibility in work, it’s the depth of work that they’re doing, and it’s the commitment that we have to diversity, whether it’s employee resource groups, or whether we have guest speakers coming in. Also the various sustainability efforts that we do to appeal to those that want to volunteer in that area. We make sure that we are focusing, highlighting and showcasing women across various roles and doing various video interviews, as well as testimonials so that prospective women employees can see that. We also look to have women on the interview panels for roles so that women can see other women. Tell us about your diverse-oriented activities? We do a number of highly interactive and engaging activations for our different diversity events. You have the International Women’s Day, Girls in ICT, and then World Day for Cultural Diversity, International Day for Persons with Disabilities, Diversity Awareness Month, we have a number of activations associated with those global diversity events. So with a particular event or activity, we ask our employees across the globe what their favourite song is, and you could clearly see the differences culturally. We had a contest to get a feel for what regions were most engaged and participatory, and really volunteered a lot of information as far as what songs they like. Then we created a playlist by region. We’ve done a number of diverse-oriented activities. We’ve had mentors of young girls in science. We’ve reached out to girls and asked them to be blog authors. All of this is an effort to showcase our commitment to women. If you keep in mind our strive to have 30% women by 2020, we recognize that you have to start early with girls. This year we launched our global competition for girls who innovate. We try to do quite a few activities to showcase our commitment to diversity. Connect with Lisa at @lisasmithstroth.